The disease, the treatment and the research …. Indian Association for the Study of Traditional Asian Medicine [IASTAM – India] (Est. 1981), over 39 years is committed to study and promote AYUSH – Ayurveda, Yoga, Unani, Siddha & Homeopathy – the Indian Systems of Medicine for their rightful place in National & Global Health & Medical Care. IASTAM provides an interdisciplinary platform to bring together Traditional Systems of Medicine for integrative dialogue with other disciplines and policy makers to develop and strengthen value for its effective use. IASTAM was founded under the leadership of Pandit Shiv Sharma, after the first ‘International Conference on Traditional Asian Medicine’ [ICTAM] at Canberra, Australia (1979) under the guidance of Prof A. L. Basham and Prof. Charles Leslie and support from Dr. K. M. Parikh. The purpose was to generate academic interest, create interdisciplinary opportunities and gain international recognition. Prof. K. N. Udupa became its first president after the sudden demise of Pandit Shiv Sharma followed by Prof. R. K. Mutatkar, Dr. S. K. Jain and Dr. Narendra Bhatt. 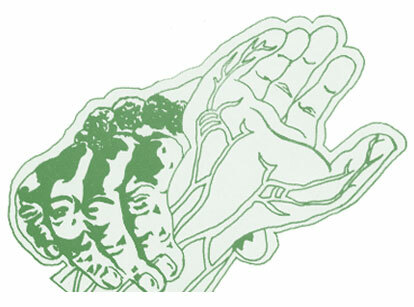 IASTAM provides catalytic mechanism for interdisciplinary exchanges between AYUSH academics, practitioners and researchers with those from conventional medicine, life sciences, ethnobotany, ethnopharmacology, pharmaceutical sciences, natural product chemistry and scholars from the field of humanities like anthropologists, historians, linguistics, policy makers and such others. 1st ever Asian Conference on Traditional Asian Medicine [ACTAM] was organized in Mumbai in 1983. The Third International conference on Traditional Asian Medicine [III ICTAM] held in Mumbai in 1990 was a trendsetter and memorable event in the history of Indian Medicine with first ever gathering of 900+ delegates. Since then it has organized several meets on subjects related to Ayurveda and other Indian Systems of Medicine. It was first to initiate the ‘Intellectual Conclave Approach’ in 2003 to deliberate on Issues for Productive Outcomes. In 2005 it celebrated ‘Silver Jubilee’ with a Conclave on ‘Transforming Traditions for Tomorrow’s Health’. International Conference on Advances in Asian Medicine [ICAAM] in 2016 with the theme ‘Asian Medicine: Global reach’ was another milestone. 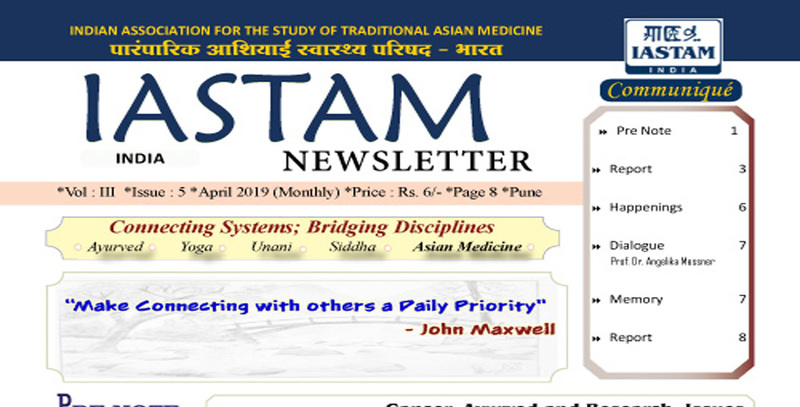 With its newly defined maxim ,‘Connecting Systems, Bridging Disciplines’ IASTAM shall remain committed to interests and reach of AYUSH & Asian medicine. IASTAM – India as a group has participated at several of the international conferences [ICTAMs] held in Surabaya, Indonesia (1984), Tokyo, Japan (1994), Halle, Germany (2002), Austin, U.S.A. (2006), Thimpu, Bhutan (2009), Sancheong, South Korea (2013) and Kiel, Germany (2017). The 10th ICTAM will be held at Taipei in 2020. IASTAM – India has established a unique tradition of ‘IASTAM Oration and Awards’ in the memory of stalwarts who contributed to growth of AYUSH. Since 2015 it has taken the form of ‘An Aspiring Tradition’ with three international orations, four awards for interdisciplinary contributions, four awards for excellence in Ayurveda and an award for Yoga. These awards selected through a stringent procedure have attained high credibility and are given at a conclave on subjects of importance organized in different parts of the country in collaboration with a reputed academic institute. To encourage research work on Ayurvedic Classical Products it got sponsorship to offer three Baidyanath Research Awards for Standardization, Validation and Technology adaptation. In past IASTAM recognized over several years three National Scholar Awards to promote excellence amongst upcoming scholars of Ayurveda. IASTAM is much admired for productive discussions and publishing all its proceedings after the events. 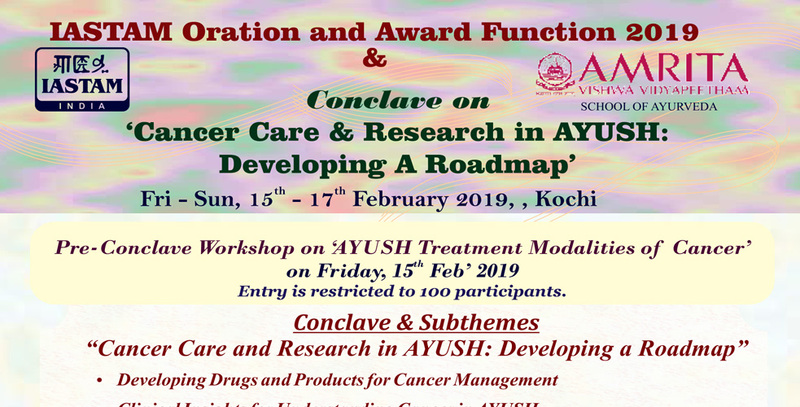 The ‘Proceedings of Conclave 2005’ were acclaimed not only among academics but also policy makers and administrators; ‘ICAAM Proceedings Part I & II’ are important reference texts; ‘Proceedings of Consultative Meet on Cancer’ was supported by Ministry of AYUSH to initiate productive research in the field of cancer for AYUSH interventions. ‘IASTAM Newsletter’ is a regular monthly publication with its unique form. Asian countries representing 4/6th of the world’s population have much to offer. Reaching out to professionals, experts, researchers and administrators and encourage communication with the multi-disciplinary experts will benefit all. India with its unparallel medical pluralism can further persuade development of AYUSH and Asian medicine systems. Coming together of Asian medicine is necessary to highlight and create global opportunities for health, medical and economic gains for people world over. 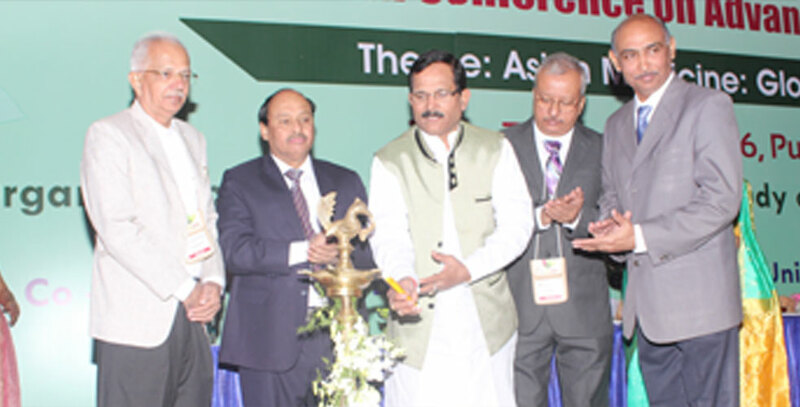 IASTAM – India as an association firmly believes in ‘Asian Approach to Globalize AYUSH’. With its neutral, thought provoking, interactive and integrative approach and as a non-advocacy group over years it has developed capabilities to deliberate on issues of significance. Since inception IASTAM was hosted at M/s Zandu Pharmaceuticals. From 2009 it is at College of Ayurveda, Bharati Vidyapeeth (Deemed to be University), an academic and research institute in Pune. With more than 600 patron and life members IASTAM aims to actively persuade its maxim ‘Connecting Systems, Bridging Disciplines’. 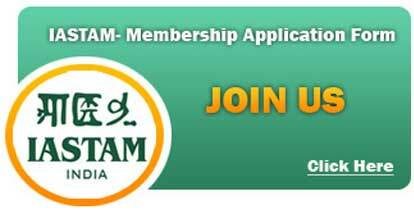 Join now, this only association of its kind. Indian Systems of Medicine Ayurveda, Unani, Siddha, Yoga and Asian medicine.